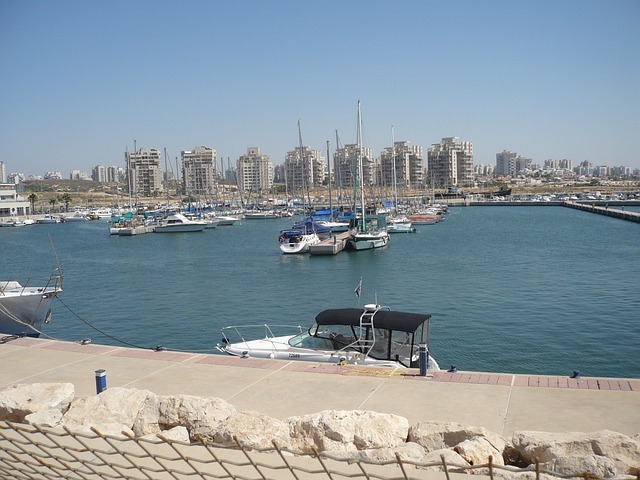 Ashdod is one of the biggest cities in Israel, comfortably located on the Mediterranean coast. It's diverse population, which is around 235,000 as of 2016, makes it the 6th largest city in the country. Also Ashdod is Israel's most important and biggest seaport. Today Ashdod is inhabited mainly by Jews (around 95%). The rest of the population is partly Jewish and is a result of mixed marriages. The city is also home to Jewish people from Morocco, Georgia and Ethiopia. In Ashdod you can find a wide variety of natural sights. Such a surprising diversity is due to the fact that the city is a kind of meeting point of the green lowland (on the East), the yellow sand dunes (on the South) and the Mediterranean Sea (on the West). Modern Ashdod is pretty young city. It was re-founded more than 60 years ago and its rapid growth began around two decades ago. It has a well-planned and developed infrastructure. You can found Ashdod among the leaders of many different rankings. And its beaches are really beautiful. 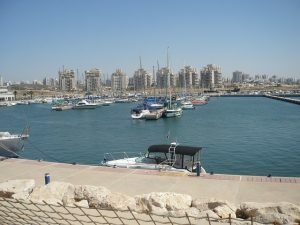 The modern city of Ashdod was built on the site where the Palestinian village of Isdud was previously located. Just prior to the 1948 Arab-Israeli War the village of Isdud was controlled by the Egyptian armed forces. But on October 28, 1948 the Egyptian army was forced to retreat and left Isdud to the Israelis. In 1956 Israel’s finance minister Levi Eshkol announced the foundation of the modern city of Ashdod. The first Ashdod settlers were small groups of Jews from Morocco and Egypt. In 1957 the Ashdod Company Ltd. was granted a 24 km² concession to build the city. In 1963 the Port of Ashdod was inaugurated. Two years later the biggest cargo port in Israel was firstly utilized. Surveyors and designers divided Ashdod into 17 neighborhoods divided by wide avenues. According to the main development plan each neighborhood has its own social infrastructure. In the northern part of Ashdod there were also built 3 industrial zones. The city is planned for a population of 250,000. In the southern part there is also an additional territory reserved for further city development. However, today this area belongs to Ashdod Nitzanim Sand Dune Park, national nature reserve.